On Tuesday 19 September, Climate Action, in official partnership with UNEP Finance Initiative, held the second Sustainable Investment Forum 2017 at the Crowne Plaza Hotel Times Square in New York during Climate Week NYC. 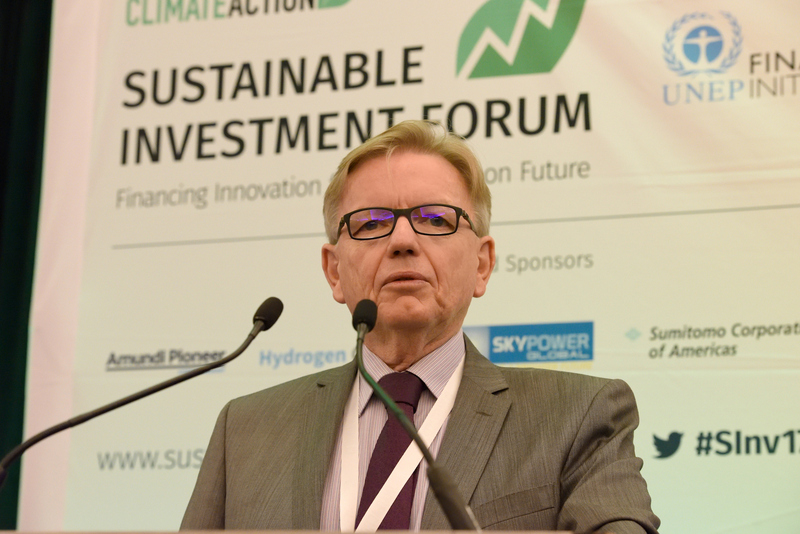 Chaired by Ed Crooks, US Industry and Energy Editor at the Financial Times, the conference started with a keynote address from Howard Bamsey, the Executive Director of the Green Climate Fund. Mr Bamsey outlined the importance of dealing with the impact of climate change as well as reducing GHG emissions. The Envoy of the Governor of the Mexican State of Quintana Roo, Rosa Elena Lozano Vázquez also addressed the audience, and emphasized the dramatic impact of climate change and adverse weather on the state. The morning of the Forum saw three panel sessions discussing the necessary leadership from the private sector and regional and city governments, as well as ways, to accelerate investment in low carbon innovation. The California State Controller Betty Yee took part in the opening plenary. As Board Member of CALPERS AND CALSTRS, she emphasized both of the pension funds’ interest in what the businesses they are investing in are doing to address climate risks, and more and more large US firms are taking climate change seriously. Philippe Desfossés, CEO of the French pension fund Retraite Additionnelle de la Fonction Publique (ERAFP), Kerry Adler, CEO of energy firm Skypower, Frédéric Samama from Amundi and high level state representatives from Oregon, US, Alberta Canada and South Australia took part in the other morning plenaries and discussed how investment processes need to evolve towards more sustainable practices. 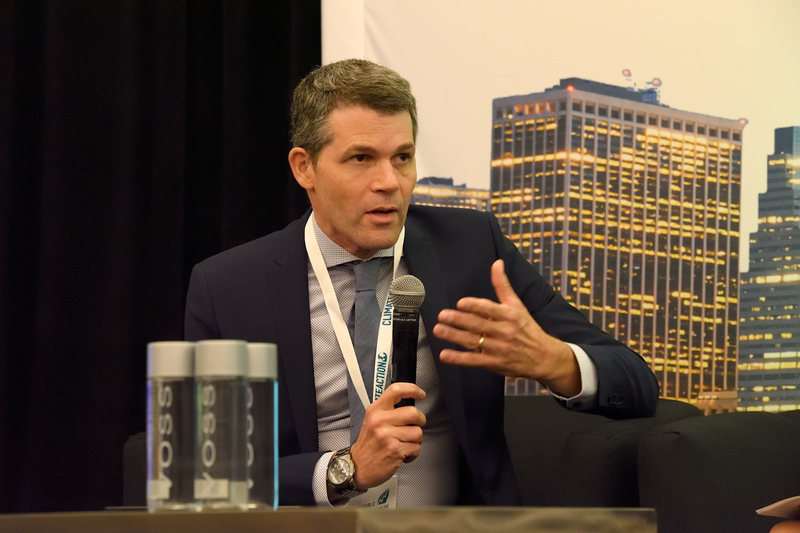 Mindy Lubber, CEO of Ceres, said that “climate risks are just risks” and therefore all investors need to take them into account, and Lance Pierce from CDP added that focusing on risk helps understand opportunity. Ms Lubber added that three things that are needed going forward are: a price on carbon, better disclosure and changing investment patterns. Tom Steyer, in his morning speech, said that investing in ESG will bring more returns on the long term, reminding the audience that the oil and gas sector has underperformed the S&P500 for 5 years. Laszlo Giricz also announced the launch of the new venture Poseidon Foundation, which will help develop efficient and secure carbon markets thanks to Blockchain. 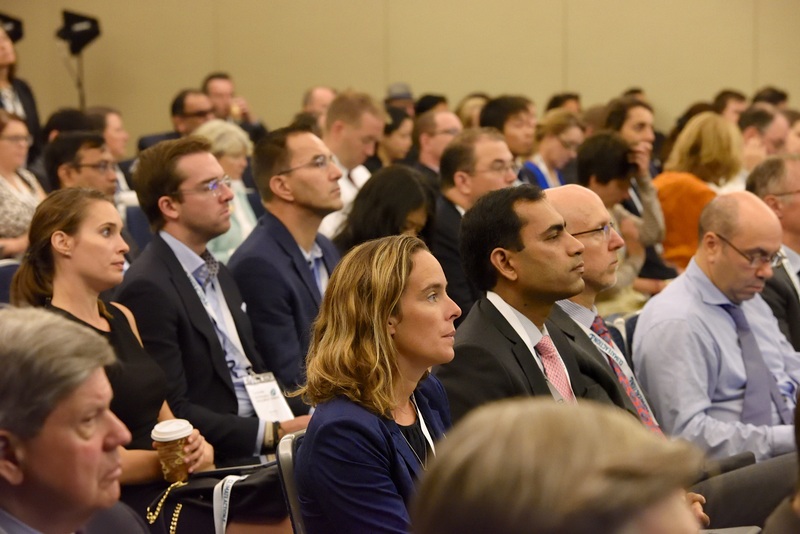 The afternoon of the Forum was split in two parallel streams, with sessions addressing both how to use traditional finance to shift investment and disruptive finance with blockchain, as well as more advanced low carbon sectors and how to transform the energy sector, and sectors that still need to get up to speed such as sustainable agriculture and landscape management. Blended finance, new low carbon technologies and initiatives were discussed by speakers from NY Green Bank, the city government of Oslo, Poseidon Foundation, Third Way, GE Ventures, YES Bank and many others. The Forum ended on a high-level panel discussion between NYS Comptroller DiNapoli, the CEOs of Royal DSM and Swedish insurance firm Länsförsäkringar, and senior representatives from CDP and Citigroup on aligning capital flows with the Paris Agreement. The event was made possible thanks to the close partnership with UNEP Finance Initiative, and the great support of Eric Usher, Head of UNEP FI. Climate Action also worked closely with its event sponsors. 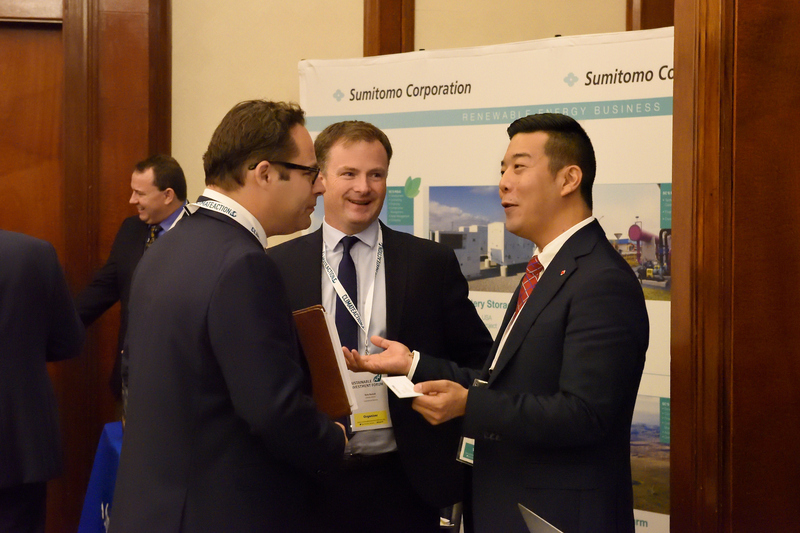 Platinum and gold sponsors were: Poseidon Foundation, which was launched at the Forum, the State of Quintana Roo in Mexico, Amundi Pioneer, the Hydrogen Council, UBS, Sumitomo Corporation of Americas and SkyPower. Climate Action has also announced the launch of the new Sustainable Investment Forum Europe, which will be held on 13 March 2018 in Paris. The event will be focusing on specific European challenges and topics. The New York event will be held again next year for its third edition, alongside Climate Week NYC and the UN General Assembly.